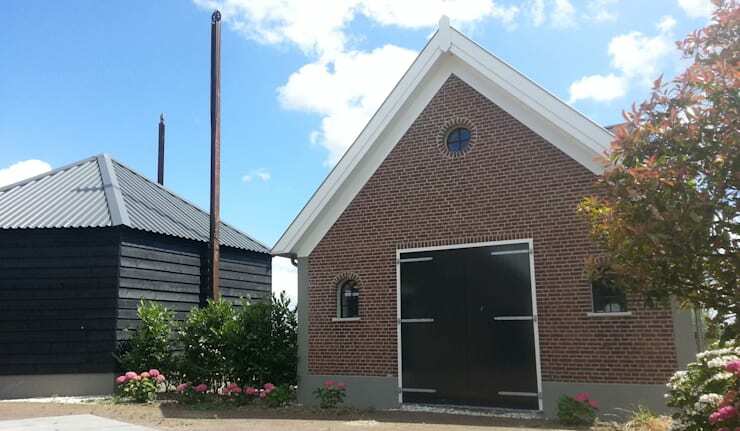 We need to take a moment to appreciate the gorgeousness of Dutch architecture and with that in mind, we are going to show you two fantastic Dutch homes that are setting the bar so high for all other architects! Simple, beautiful and showcasing lovely natural materials, as well as stylishly minimal construction techniques, we just know you're going to love these homes as much as we do, so enough talking; let's start looking! 1. A modern barn home. 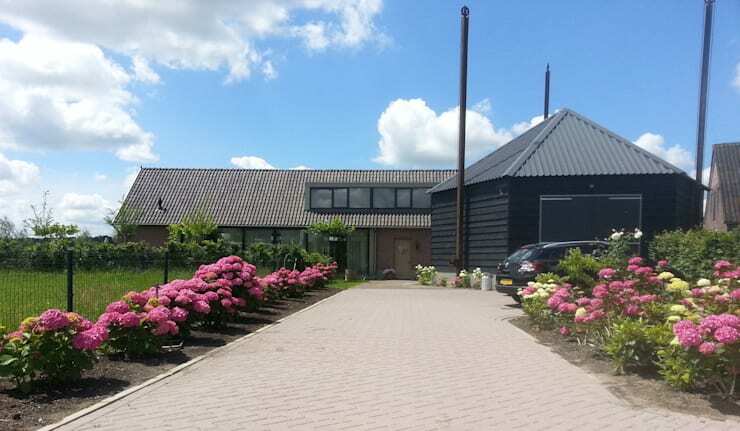 What we love about this home is that it looks so much like a contemporary twist on a traditional barn conversion, with a low-level profile, long dimensions and simple brick construction. Designed to offer maximum value for money and usable space, this love home has a wealth of interesting features, such as rural wooden doors being used as shutters, amazing gardens and just wait until you see the gable end! We won't keep talking at you, but will just point out a couple more of our favorite features, so come take a look! Now that's a very different garage and just look how dramatic and eye-catching this pathway is! Vibrant blooms were the perfect way to accentuate it too! Didn't we tell you that the gable end was something to watch out for? Look how rustic and chic it is! The little windows are so sweet! 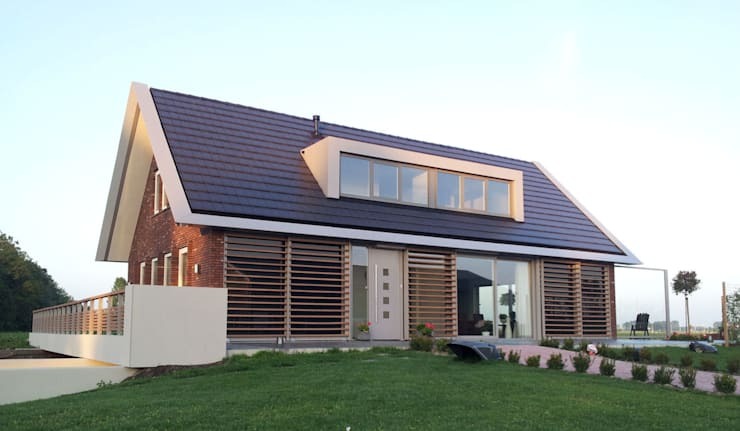 next, we are going to show you a smaller, but no less stunning Dutch home, which we think will really appeal to any of you that love a contemporary architecture style. 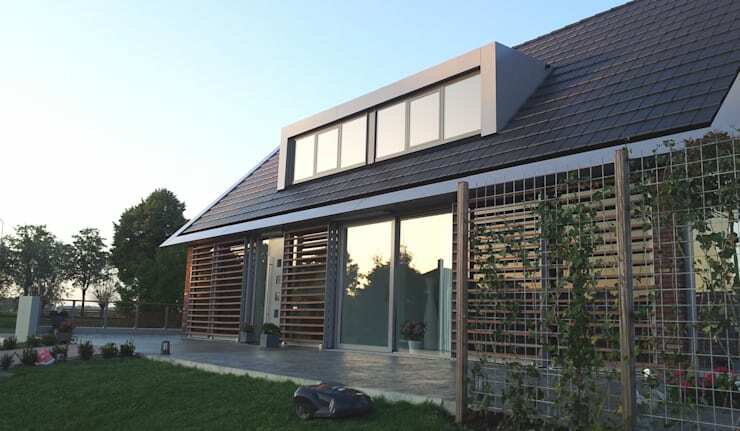 The simple shape of this home has been beautifully accentuated with striated wood cladding and the unbelievably sleek dormer window is utterly brilliant. Add in that awesome industrial front door ands this is such a brilliant hybrid of trendy styles! Let's see a little more! This home is a perfect mirror image of itself, from the back! A matching dormer makes for such a cohesive and lovely aesthetic! We love the inclusion of a gorgeous concrete terrace here, especially as it is at the front of the property! So groundbreaking and unusual! 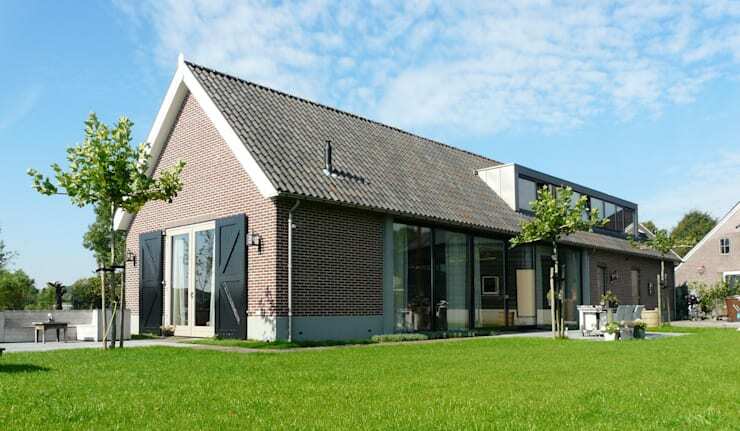 Take a look at some more overseas homes here: 2 Dutch houses that will make you want to relocate to The Netherlands. 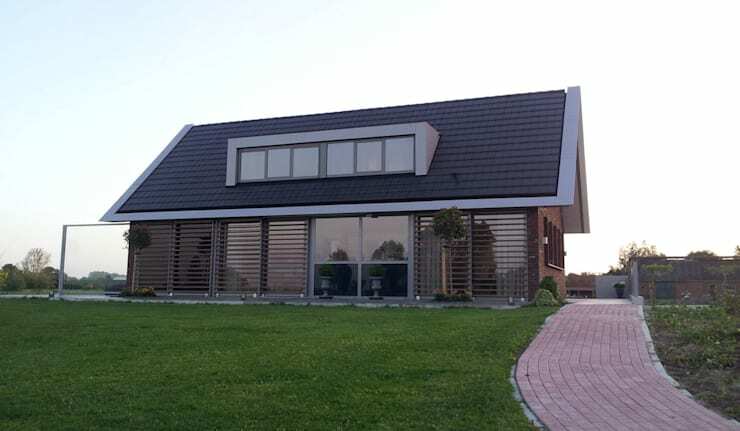 Would a Dutch home be perfect for you?